A new management group is driving change at Volkswagen of America. HERNDON, Virginia -- As the Volkswagen brand takes aim at 800,000 annual U.S. sales by 2018, it plans to offer more vehicles and features targeted specifically at American buyers, top executives said in interviews with Automotive News, a sister publication of Automotive News Europe. The strategy is a big change for the brand, which for decades sent cars designed for Europe to the United States and shrugged off complaints that they were ill suited to the local market and scored poorly on quality and dependability surveys. The VW brand hasn't sold more than 300,000 vehicles here since 2003. Last year VW sold 256,830 vehicles in the United States. But the United States has taken on new importance to the VW Group, which hopes to pass Toyota Motor Corp. and General Motors Co. to become the world's biggest automaker by 2018. In addition to developing more vehicles with the United States in mind, VW executives say they are committed to lowering the price of key volume models and improving quality and customer relations. Leading the charge is a team of executives who have mostly worked for the competition. "The whole degree of integration and engagement with the market has been stepped up several levels," said Jonathan Browning, a former GM and Ford Motor Co. executive who has headed Volkswagen Group of America and the VW brand in the United States since last October. -- Developing cars for U.S. customers and building them in North America. Examples so far are the new U.S.-built 2012 Passat sedan and two vehicles built in Mexico: the redesigned Jetta sedan that went on sale a year ago and the newly redesigned Beetle. But more are on the way. Browning said future versions of the Golf and the Tiguan compact SUV and a new mid-sized SUV could be targeted directly at the United States. In short, that means they would get bigger, would have more cargo space and would be outfitted with more features desired by U.S. buyers, such as navigation systems and Bluetooth. -- Dispelling two key reasons why VW internal research shows consumers reject the brand: a perception that its cars are priced higher than those of the competition and that repair costs are high. VW has lowered the sticker price on volume models and is offering 3-year/36,000-mile free scheduled maintenance on all vehicles. -- Moving faster to solve quality problems. Volkswagen of America has recruited former Audi of America quality chief Marc Trahan for the new post of executive vice president of group quality. He meets regularly with top VW Group engineers and manufacturing executives to remedy U.S. quality issues. -- Improving customer satisfaction, a major sore spot for the VW brand. For example, VW was fourth from the bottom in the 2011 J.D. Power and Associates Initial Quality Study. Former Hyundai and Nissan executive Mark Barnes was recently installed in the new position of vice president of customer experience. The U.S. focus dovetails with a three-year, $4 billion investment through 2012 that includes the $1 billion factory in Chattanooga, Tennessee. The factory, which has capacity for 150,000 units, is producing the Passat sedan that will be sold only in North America. The new Passat is sized and priced to compete with the Honda Accord and Toyota Camry. Prices start at $20,765, including shipping, down from $27,945 for the 2010 Passat. The 2011 Camry starts at $20,955, including freight. The new U.S. Passat is larger than the version sold in Europe and is longer and has more passenger volume than the Camry. VW can expand capacity by 150,000 units and has said it will build a second vehicle there. Company officials have hinted that it will be the redesigned Tiguan or the mid-sized SUV. Browning would not confirm plans for Chattanooga, but he did say that "where necessary" other vehicles for the United States will be highly differentiated from European models. The United States "will be feeding into the global development process," said Browning, an Englishman whose previous jobs include chairman of GM's European unit Vauxhall Motors in Britain; vice president of global sales, service and marketing for GM; and executive director of marketing for Ford of Europe. The Jetta and the redesigned Passat and bigger, roomier Beetle that debut in September are the first cars developed primarily for the United States. "We will do that with other entries as well," Browning said. "You will begin to see a core of products that will permeate their segments deeper and deeper. You need the core products that drive volume and throughput in the system." The Jetta, Passat and new Beetle, which also goes on sale in September, are crucial to VW's quest to top 300,000 units in annual U.S. sales this year. Sales of the roomier and larger Jetta sedan were up 62 percent through July, to 107,465 units. Browning said the next-generation Tiguan is likely to be tailored to the U.S. market. Although the Tiguan hasn't been a big seller -- VW sold 20,946 units in the United States last year -- he said, "It is one of our biggest opportunities for growth. "Tiguan is just beginning to scratch the surface," Browning said. A redesigned Tiguan is due in about three years. He said VW hopes to improve sales of the current model with increased marketing. The Tiguan also is likely to get a diesel engine, Browning said. Rainer Michel, VW's top U.S. product planner, said the company has "a high willingness to put more money into the engineering pot" for U.S. features, such as adding a remote-start feature for the new-generation CC sedan. Producing the next-generation Golf in Mexico "is part of the discussion," said Michel, a former GM Europe executive. "Golf is a world car, and we have a good say in the next generation." Browning said VW won't tinker with what it considers "the heart and soul" of the brand -- the design and driving dynamics associated with German engineering. But it will press for improvements in areas where U.S. customers have complained. Trahan said VW is attacking quality problems ranging from wind noise, squeaks and rattles on the new-generation Jetta to climate control systems on the Tiguan and CC. The U.S. management team has hired quality consultants and is working closely with J.D. Power and Associates to pinpoint problems. It also has a seat on the VW Group's corporate quality council and meets with individual factory managers in Germany. Barnes, whose first day on the new job was Monday, Aug. 15, said he will develop recommendations within 45 days. "To maintain growth, we need higher customer satisfaction," he said. Barnes said VW needs to boost its loyalty rate from today's 39 percent, improve its consumer call center and do more dealer training. According to Kelley Blue Book's Web site, kkb.com, Hyundai had the top brand loyalty in the second quarter at 52.3 percent, followed by Honda at 49.7 percent and Toyota at 47.7 percent. How high up does VW's commitment go? 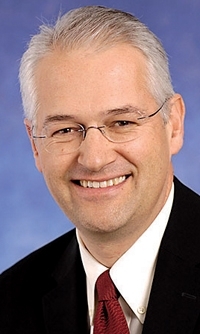 Michel said VW Group CEO Martin Winterkorn flies to the United States to drive new models himself and recommend fixes. Earlier this year after a press conference in New York, Winterkorn led a convoy of VW German and U.S. executives on a six-hour drive from Manhattan into the suburbs of New Jersey with early-production Passats and Beetles. "We couldn't believe his endurance," Michel said. "He had us in front of those cars for hours."